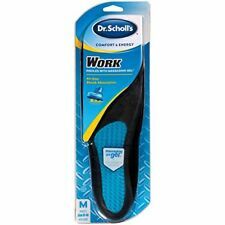 "Dr. Scholl's Massaging Gel Extra Support Insoles for Men, 8-14"
Threw these into a pair of trainers and now they work amazing as running shoes. Excellent value! pro: running insoles. con: seem no better than comparable foreign imports. These insoles are the difference between a running injury or running pleasure! Works as expected. Very happy.